Isi Leibler of the Jerusalem Post has reported that the Israeli Embassy in London has been promoting next week’s public conversation between Gideon Levy, author of The Punishment of Gaza, and C4 news presenter Jon Snow at the Amnesty International Human Rights Action Centre. More info about the event here. Over the years I have encountered many cases of incompetence and blunders on the part of those responsible for promoting the case for Israel on a global level, but nothing quite as bizarre as what I experienced a few days ago. …My initial instinct was that the e-mail was a hoax and I urged my informant to obtain further clarification from the embassy. TODAY – Wednesday 18 August, Edinburgh, St Georges West, Shandwick Pl, 7.30pm (Scottish Palestine Solidarity Campaign open meeting). More info here. Acclaimed Israeli journalist Gideon Levy will be speaking about his new book, The Punishment of Gaza (published by Verso in July 2010) at a number of locations in the next fortnight. Described by Le Monde as a “thorn in Israel’s flank,” Gideon Levy has reported from the West Bank and Gaza for the Israeli newspaper Ha’aretz since 1982. Wednesday 18 August, Edinburgh, festival appearance with Gilbert Achcar, Pepper Theatre, 12.30pm. More info and tickets here. Wednesday 18 August, Edinburgh, St Georges West, Shandwick Pl, 7.30pm (Scottish Palestine Solidarity Campaign open meeting). More info here. Tuesday 24 August 2010, London, Amnest International Human Rights Action Centre, 17-25 New Inn Yard, 8.15pm (in conversation with Jon Snow). More info here. Acclaimed Israeli journalist and author of The Punishment of Gaza, Gideon Levy, will be in conversation with Jeremy Bowen at The Frontline Club, London, on Wednesday 25th August 2010. On route to Edinburgh Literary Festival Gideon Levy will be joining us at the Frontline Club in conversation with BBC’s Middle East editor Jeremy Bowen. He will be discussing recent developments in the Middle East and his book The Punishment of Gaza. In which he documents Israel’s 2005 withdrawal from Gaza and charts the events leading up to the assault of 2009. More information here. Book tickets here or call 020 7479 8940. Levy is a searing critic of Israeli brutality, as anyone who has read him will know. Right from the beginning, he named the last major Israeli massacre of Gaza “a war crime” — in his 27 December 2008 article “The Neighborhood Bully Strikes Again.” And he criticized it on moral grounds, not merely as the “mistake” or “blunder” that hypocritical Israeli pundits, masquerading as critics, would label it much later on. A fascinating, meandering sort of family memoir. 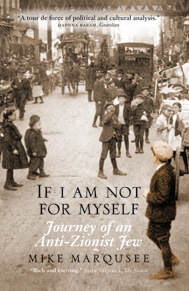 From the subtitle “Journey of an Anti-Zionist Jew” one expects an autobiography. As it turns out, it mostly tells the story of Marqusee’s grandfather Edward V. Morand, based on an inherited suitcase full of his old personal letters, newspaper clippings and so forth. In the 1970s and 1980s Soweto became a global watchword not simply for the murderous brutality of the racist Apartheid regime but also the heroic resistance of the South African people. Solidarity with Soweto became a huge, popular international movement which helped isolate Apartheid. Today Gaza requires that same wave of support. As part of Philosophy Football’s contribution towards this we have produced a delightfully simple T-shirt design on a non-profit making basis. We are actively supporting and raising funds for the September 2010 aid convoys to Gaza organised by Viva Palestina but we cannot all join the convoys by land and air. 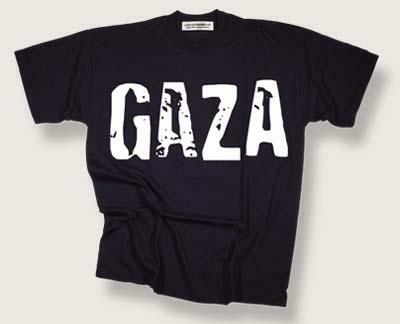 Yet we can all wear ‘GAZA’ on our chest and help spread the message of solidarity. T-shirt in sizes S-XXL, plus womens’ skinny-rib fit. 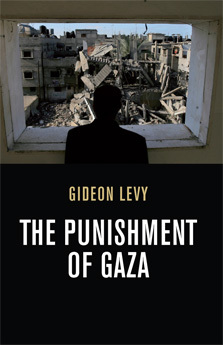 Gideon Levy’s The Punishment of Gaza is now available in paperback. He will be giving a talk at the Edinburgh International Book Festival with Gibert Achcar on the 18th August, details of which can be found here. Monday 16th- Wednesday 18th in Dundee, Glasgow and Edinburgh, details of which can be found here. Thursday 19th in Manchester, organised the Manchester Palestine Solidarity Campaign. Friday 20th-Tuesday 24th in London, details to be confirmed. As Mr. Hall demonstrates, Gellner believed that there really was a clash between “liberty and pluralism,” on the one hand, and “authoritarianism and oppressiveness” on the other. In a passionate riposte to Noam Chomsky, who had accused him of ignoring Western crimes, Gellner charged that his critic had “obscured” the fact that “the survival of freedom and accountable, limited government is an enormously important value even when some of its defenders are occasionally tarnished. 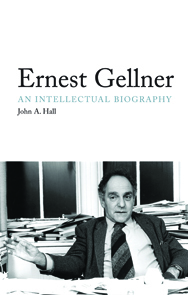 This was the authentic voice of Ernest Gellner: honest, cool and reasonable. Mr. Hall is to be congratulated for reminding us of how much we miss it today. …offers a timely monument to an unjustly overlooked figure of 20th-century intellectual life…The cumulative effect is monumental – and a monument does seem overdue. Little of what he reports will be news to the book’s readers – and those who would be surprised by its contents are unlikely ever to pick it up. But this shouldn’t diminish the power of its testimony: it is a worthy monument to Israel’s victims in Gaza – and to the integrity of those, like Levy, who have refused to ignore the crimes committed in their names.